Luxury accomodation near Canterbury with a truly traditional breakfast, B&B - as it should be! Prices for our Self Catering Suite are for two people unless otherwised stated and NOT inclusive of breakfasts, however breakfasts can be available at £8.50 per person, if you would like to join us for a sociable breakfast with our other guests you would be most welcome. 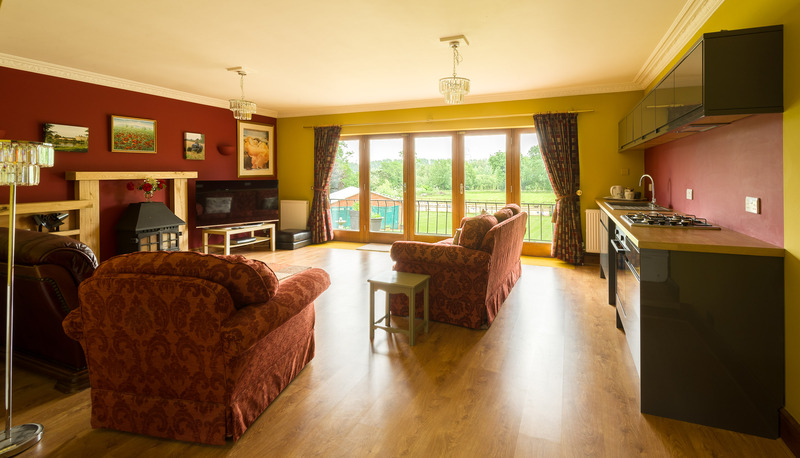 Our self Catering Suite is available for families with well behaved children and not limited to Adults. We can accept up to four people by the use of the sprung bed settee in the lounge. Access to the Self Catering is with its own French doors and separate from the b&b entrance. It has a patio area over looking the rear garden, paddocks and lakes. 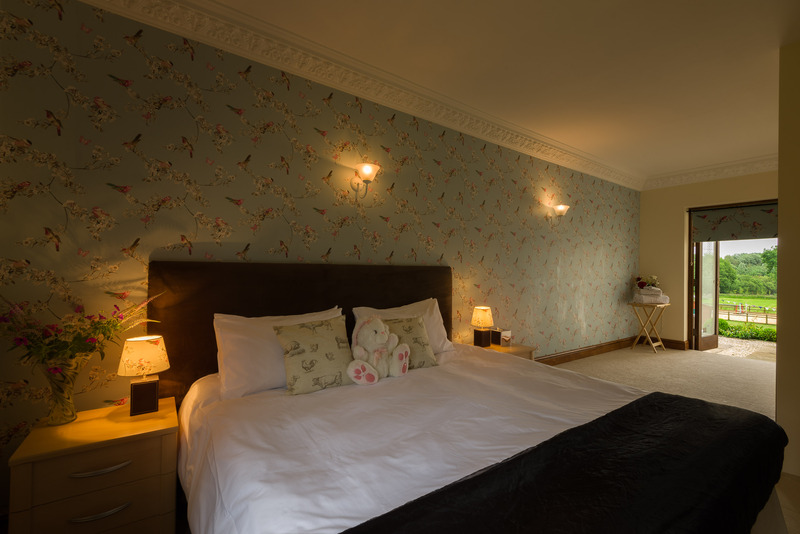 The bedroom - Large spacious bedroom with french doors onto the patio area overlooking exceptional country views and the garden. The room boasts a super king size bed, and can be arranged as either a double or a twin. Large sliding wardrobes and ample drawer space. Additional Television in the bedroom area. The Bathroom has an oversized spa bath with air jets. 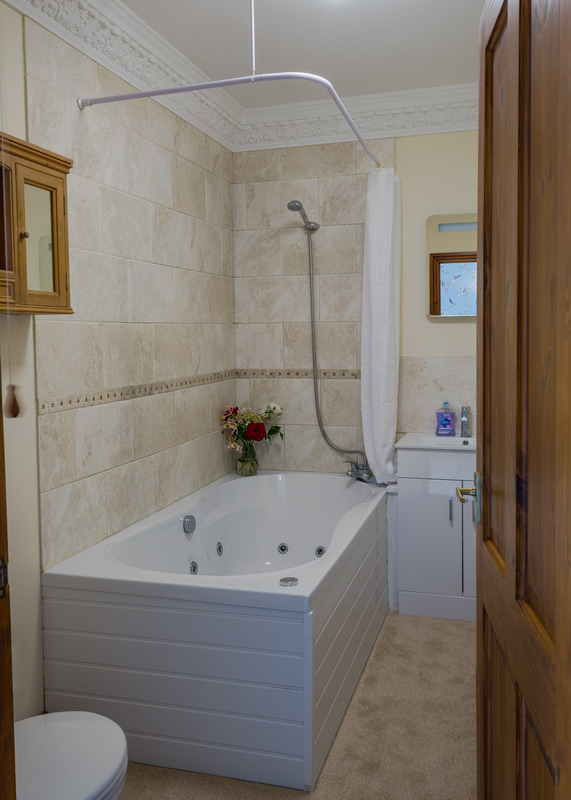 Shower over the bath, basin & toilet.. Dining, Lounge & Kitchen Area: There is a large table to enjoy your meal in the dining area. 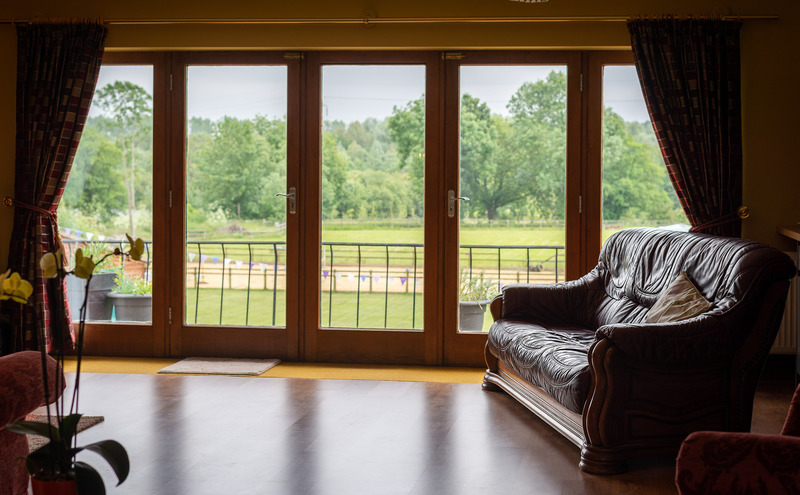 The large lounge has a television, comfortable fully upholstered settee, lovely working log burner and panoramic views overlooking stunning countryside outside of The sand school, Chartham Lakes and the Downs. The fully equipped Kitchen area has a fan assisted oven, dishwasher, fridge freezer and plenty of cupboards. An ideal Self Catering Unit for your stay to explore this lovely part of the SE of England. The longer your stay the better the discounts I can offer.